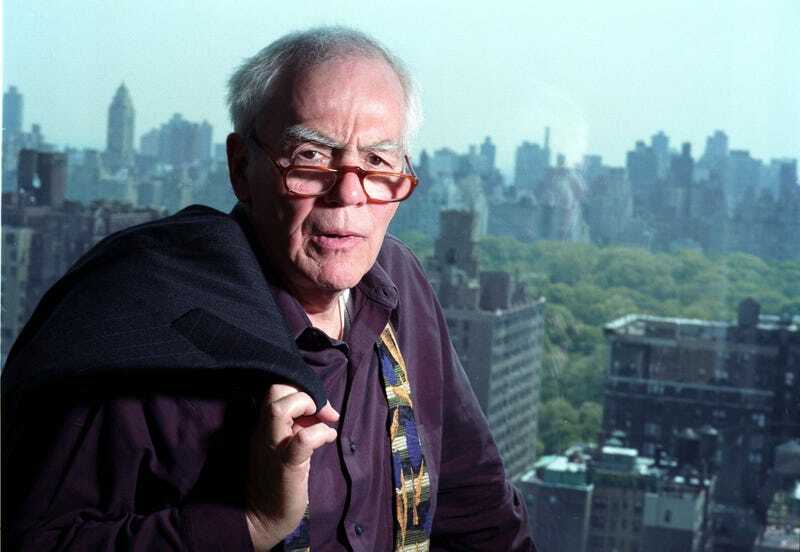 Jimmy Breslin, one of the most towering figures in New York City journalism, died on Sunday in his Manhattan home. He was 88. His death was confirmed by his wife, Ronnie Eldridge, who said that he’d been recovering from pneumonia. Breslin’s career spanned several decades, and his particular brand of narrative reporting inspired scores of copycats, none of whom ever successfully replicated his distinctive style. He gave voice to the poor and disenfranchised, and found his sources not in the winners of the game, but the losers. Politicians attend dinners at hotels with contractors. Bankers discuss interest rates at lunch. Harold Ruger goes into a manila folder on his desk and takes out a picture of Allen Burnett, a young face covered with blood staring from a morgue table. In Allen Burnett’s hand there is a piece of the veins of the city of New York. His lack of concern for the opinions of others had a tendency to backfire. In 1990, he was suspended from his job at Newsday for going on a racist rant about a Korean-American reporter who called out one of his columns as being sexist. Breslin’s last piece—an excerpt from his unfinished biographical novel—appeared in the Daily Beast last year.